Kevin Wallsten is an associate professor in the Department of Political Science at California State University, Long Beach and former President of the American Political Science Association’s Section on Information Technology and Politics. He has published over 20 research articles in the areas of American elections, public opinion, political communication, social media and race and ethnic politics. His most recent book, entitled Politics of the Pill (co-authored with Rachel VanSickle-Ward), is forthcoming with Oxford University Press. His research has been discussed in mainstream news outlets, including the New York Times and the Wall Street Journal, and he has authored numerous opinion pieces in the Washington Post. 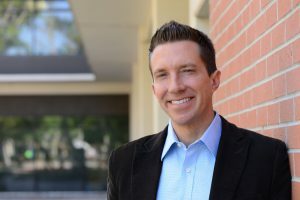 Additionally, Wallsten frequently appears as a political analyst on television news programs such as ABC 7 News, Charter Local Edition and CSULB’s Beach TV.